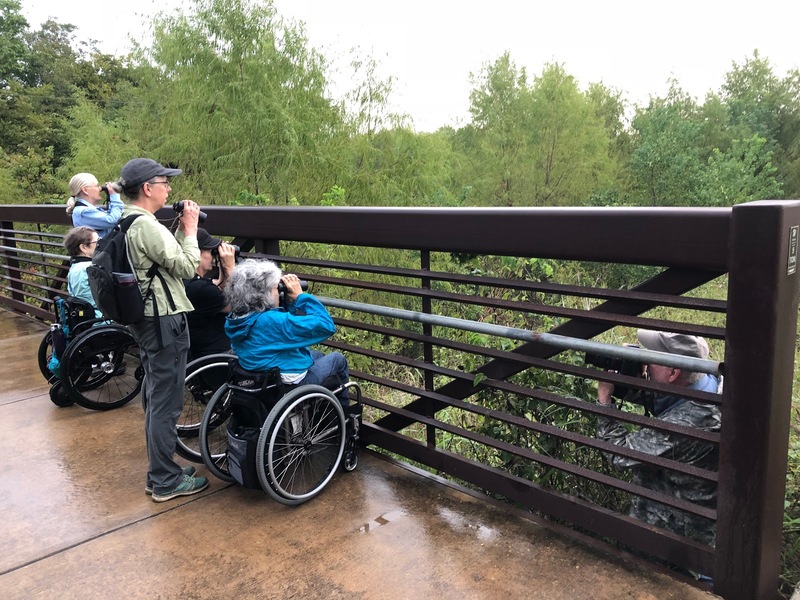 Though the forecast called for 80% rain precisely during the three-hour timeframe in which we would be birding, many of us made it to Lake Creek by 8:00. We had a quick lesson on using binoculars. 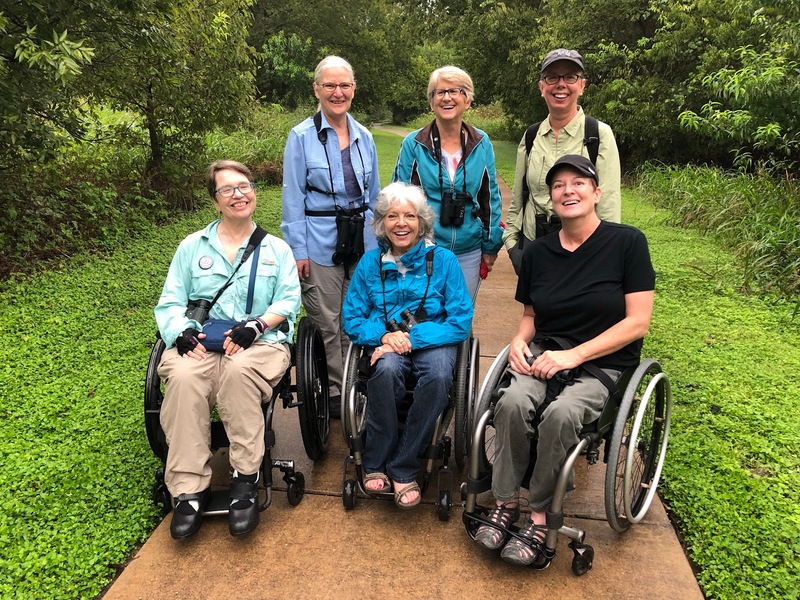 We were a little damp, and it was drizzling, but ten minutes later, the rain cleared off and we were birding! Red-shouldered hawks flew over the parking lot, carolina wrens called, northern cardinals chipped back and forth, and blue jays practiced their Cooper's hawk vocalizations as our group ventured forth.Two other women in wheelchairs, a medical office coordinator, three walking birders, a journalist and a photographer all joined me today. We picked up two brown thrashers, northern mockingbird, red-bellied woodpecker, American crow, house finch, red-winged blackbirds, Nashville warbler, black and turkey vulture, eastern phoebe, scissortail flycatcher, and a real Cooper's hawk, about twenty birds today. 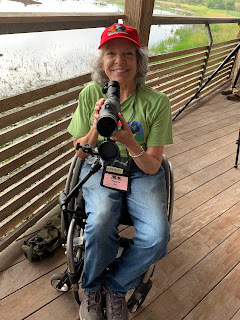 My goal is to introduce birding to people with mobility challenges, and I was able to do that today. People enjoyed themselves and showed interest in the next walk. 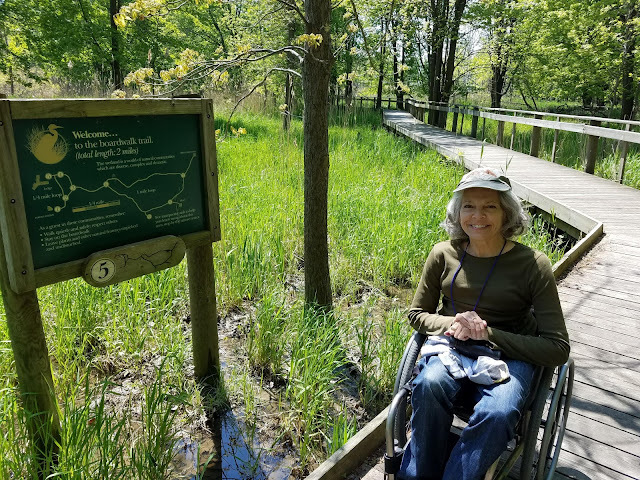 Next scheduled walk is Nov. 13. Stay tuned for more information about the next walk!